Since his debut, against Notre Dame, BEVO XV has become one of the most popular topics on campus. Dubbed, “Baby BEVO”, our live mascot’s popularity is at an all-time high. As you might expect, the young steer has been very busy since his debut. BEVO has attended several events for President Fenves, our new head coach Tom Herman, and many other University events. Our young BEVO, is also doing his part to help bring some of the country’s best talent to campus. Our football coaching staff credited BEVO for helping land WR Jordan Pouncey to the 2017 recruiting class. Pouncey was able to meet BEVO, while he was on campus, and called it a dream come true. At the Texas Relays, this past Saturday, future Longhorn Sam Worley ran the 11th fastest mile in high school history. Sam, in a post-race interview, credited to seeing BEVO before the race as his “good luck charm” that inspired him to run his personal best. XV’s popularity isn’t just within the athletic department either. 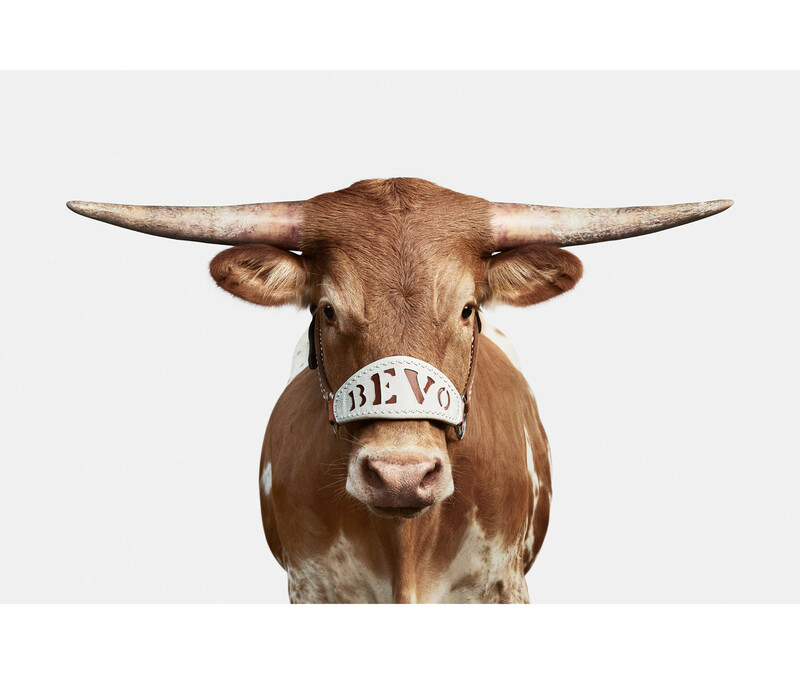 This coming fall, BEVO XV and the Silver Spurs are featured in the University’s new national television commercial campaign. The commercial will air on national television and on the video board at football games. Later this month, BEVO has been invited to be an honored guest at the Governor’s mansion. BEVO XV’s horns have grown several inches and are starting to curve up. He continues to be one of the friendliest and manageable BEVO’s in our University’s history. 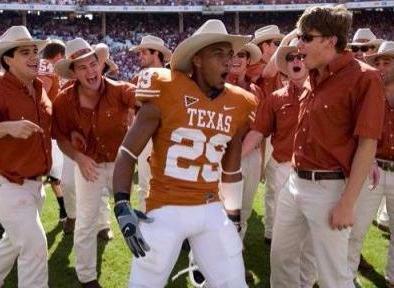 Longhorn fans are going to enjoy watching him grow for many years to come. BEVO XV is adapting well to his new found fame, and he had a successful inaugural football season. We held back slightly on his appearances during the fall, but he has now adjusted to a full schedule. 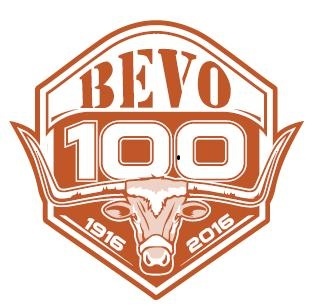 We are finishing up a successful fundraising drive to build up the Silver Spur Endowment during this special 100th year celebration of BEVO. Your donation is very important because it will allow us to create an endowment that can sustainably fund all the costs of BEVO and our alumni association. These funds will also allow us to expand our charitable endeavors through both Silver Spur Scholarships and continued support of the UT Neighborhood Longhorns Program. We are asking every Spur Alumni to donate something to this current campaign (even if you have previously donated to the endowment). We have all benefited from our involvement in Silver Spurs and NOW is the time to give something back. Please contact Ricky Brennes (rickybrennes@utsilverspurs.com) this week for information on where to send your donation. Silver Spurs is the honorary student service organization responsible for the care and transportation of BEVO, The University of Texas longhorn steer mascot. Since our founding in 1937, we have provided over 2,500 campus leaders with the opportunity to give back to our school and community through philanthropic endeavors associated with BEVO. Whether you are here as a prospective new member, an active Spur, an alumni looking to reconnect or a fan interested in learning more about your mascot, we're happy you stopped by and hope you find everything you're looking for on our newly renovated website. expenses associated with the University of Texas mascot known as BEVO. Silver Spurs Alumni Association is a separate entity from the Texas Exes. Membership in the Texas Exes does not translate to membership in Silver Spurs Alumni Association.